You might have come across many roofing contractors, but how can you tell if they are up for an installation or repair job? They can easily claim that they have the best products and services, but it can easily be a tactic to close the sale. 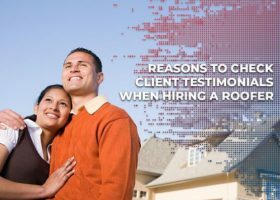 Rogers Roofing, one of the leading roofers, explains how client testimonials can help you when hiring a contractor. Hiring professional contractors ensures a smooth project and satisfactory results. They have the knowledge, experience and skills when it comes to various roofing services. 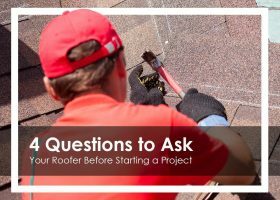 Before the construction begins, Rogers Roofing lists four essential questions to ask your contractor.